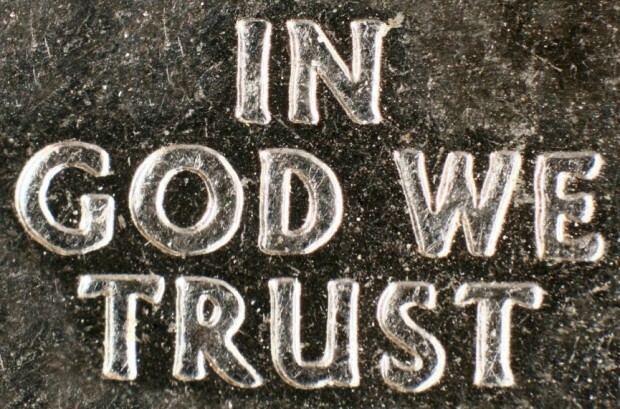 Giving Money to Your Church is "Trusting God with Your Finances?" Come On!!! Readers: I am going to be posting some previous Watchdog posts that might prove helpful during the coming days when pastors will be ramping up their fund raising tactics. Another tool of manipulation used by charlatans and their enablers is the rhetorical question above, or variations or implications of it. I’ve heard this question, or some form of it, so many times by so many pastors, that I’m not going to attribute it to anyone in particular. You have probably heard it too, or will soon, if not already. Usually, the pastor will trot out this seemingly logical rhetorical question during his tithing sermon. Or when you are not doing what he wants. The implication is that you are indeed trusting Jesus for salvation (which we all certainly should do), but you are not trusting God with your finances (because you are not giving enough). You should do both, right? WRONG. But they don’t want you to hear it that way. They want you to be coerced into agreeing with a statement about trusting God with your salvation (which we all must do), with giving money to the church to pay its overhead, salaries, debt and a small percentage going to actual ministry to the lost, poor, hurting, orphan and widow. 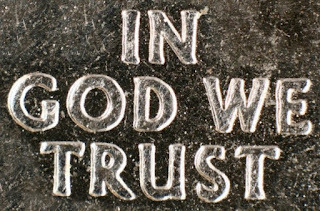 Second, in answer to your question pastor and enablers, is that we should only be trusting in God for things God does, and not for things God does not do. Only God can bring salvation. The doctor can’t save us. The policeman can’t save us. The auto mechanic can’t save us. We don’t go to those people for salvation. We go to God. We trust God with our salvation because He is the only one that can possibly save us. Does that answer your question brother pastor? Third, the reverse implications of this question are just as true as the one your pastor is trying to make. Have you ever stopped to consider that you don’t trust God with your high blood pressure? Of course not. If you have HBP, you take a pill every single day, day in and day out, for the rest of your life. But your arrogant preacher isn’t asking you “If you don’t trust God with your HBP, how can you trust him with your salvation?” It makes no sense to do so does it? What about your safety. Do you pray for God’s protection and then live in a gated community, hire a team of security officers, carry a concealed weapon, lock your doors at night, and stay out of dangerous places? Do you call the police, or rely on your local police and Sheriff’s department to keep your city safe? Then you are not trusting God for your protection are you? But is your preacher asking you "How can you trust God with your finances if you don’t trust him with your security?" The biggest slice of our city budget here in Jacksonville is for our brave and highly trained police force. We are not trusting God with this vital area, we are trusting our police. And what about your finances? Are you getting up and going to work, working hard long hours day after day, month after month, year after year to earn money so you can have food, clothing, shelter and transportation? Then you my friend, are trusting in your efforts, reaping what you are sowing, and not trusting in God (or your pastor, or your church) to put food on your table, support your family, and pay your taxes that pay those indispensable police men and women. What about technology and transportation? You love the advances that science and “the world” have made in technology, cell phones, computers, automobiles, river boats, cruise ships, airplanes, and medicine. Yet, you criticize science and scientists who don’t believe the same facts you do about your religion. You certainly trust them when you get in your car, get on that plane, and use that cell phone to call for help, or perform your job duties. So has your pastor asked “How can you trust God with your salvation if you don’t trust him with your transportation needs, or technology needs, or physical needs?" If your car breaks down, do you trust God to fix it? Of course not. The question makes no sense except as one to try and manipulate people that love Jesus and want to serve God. Do Christians go to the doctor when we are sick. Do surgeons save our lives if we need surgery? Or do we “trust God” to heal us? Does the Mayo clinic call pastors or faith healers to heal those in need of a heart bypass? Seen any faith healers over at Wolfson’s childrens hospital's cancer treatment center? What about Autism and Alzheimer’s disease that afflicts our young and old? Are you trusting in the church, or God, to heal those conditions? Or are you hoping science will find a cure through research and education and training? And are you elderly or disabled. Guess what, your government is paying your disability and your social security and providing police and fire protection and paving your roads, and paying our military, and providing parks, and feeding the poor and on and on. But your pastor criticizes them while doing none of the above. But he does advertise the Holy Land trip he is leading and the cruise he will be taking. Makes you sick doesn't it? No? Why not? So, the better question then the one your pastor asks above, is why trust your pastor/church with your finances at all? Why trust them to do anything that you actually rely on and need each day. They don’t protect you, they don’t pay your bills, they don’t heal you, they don’t transport you, they don’t build roads, they don’t provide parks, they don’t support the poor or disabled, and they don't do anything for you at all. So next time your pastor asks you “How can you trust God with your salvation if you can’t trust him with your finances?”, you can tell him to his face, or quietly reply in your heart: “That’s easy. I only trust God for what only He can do, which is my salvation. And you preacher, and this church, are not God. So I agree, I don’t trust you with my finances, but I easily trust God with my salvation.” Next question please.